This is by far the most fun I have ever had making a costume! 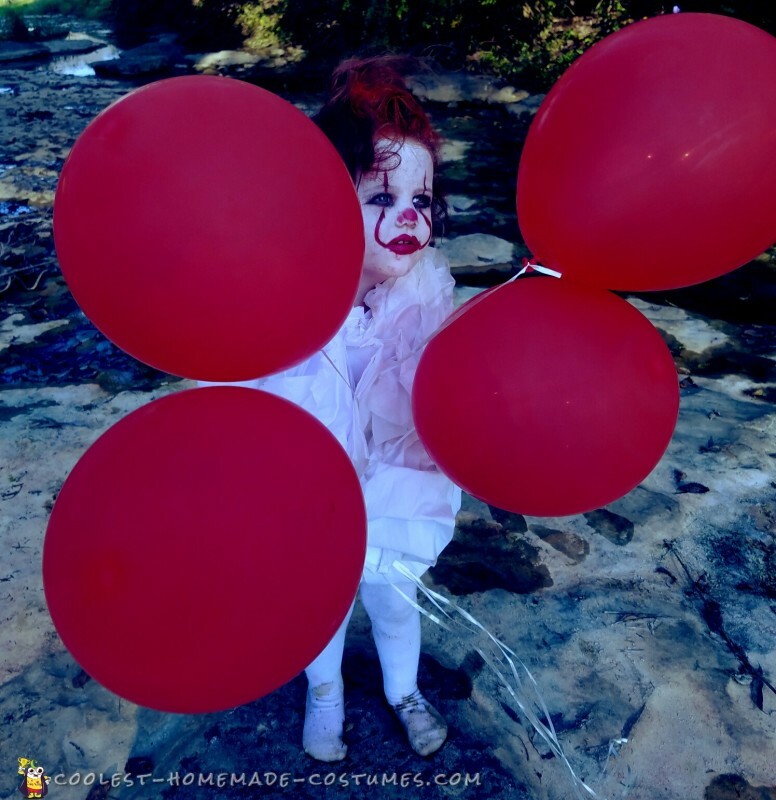 My daughter is about to turn 3 soon and loves everything Halloween! So this year since she is really into it I figured we could have lots of fun with her costume! 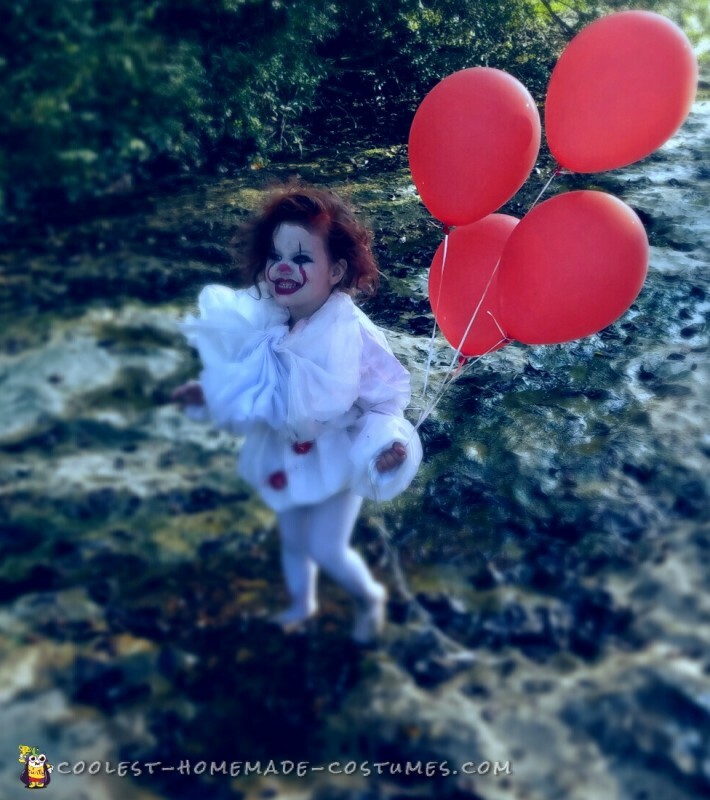 The new IT move came out not long ago and as a child that was my favorite scary movie so I figured it would be fun to make her into the new clown with a Pennywise costume. I showed her the picture of Pennywise and she was ready! 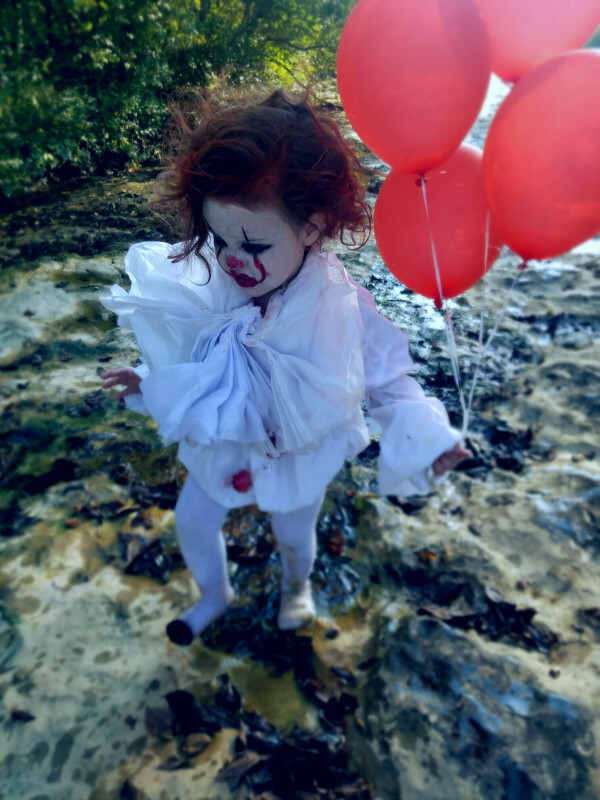 I started by making her Pennywise outfit I just used some stuff we had at home. So, I used a old white button up shirt, pantyhose, bloomers, and tissue paper. The make up was the most challenging, she loves when I do her makeup but if you know a 3 year old they can’t sit still very long! Then I sprayed her hair with orange wash out hair spray and teased it up with a comb. Then it was off to the creek! Which was the fun part because the creek is a couple block down in our neighborhood. 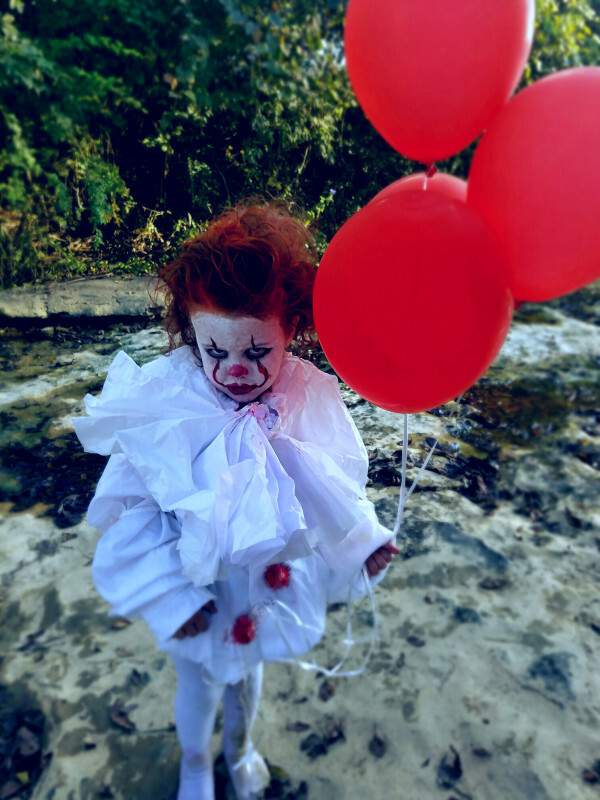 So here I am strolling a 3 year old dressed up as this creepy clown. I am sure people thought I was crazy but all I could do was laugh! We make it to the creek, now to get her to look at me long enough to get some creepy pictures! Which is also a challenge with a 3 year old. We played around in the creek for a while and I finally got some good creepy/cute pictures of her. Who knew that a 3 year old could be so creepy and cute at the same time! We will definitely be trying more costumes in the near future! We have some much fun doing makeup and costumes together.